Just replaced the battery in my XPS 1340 and found out I have charging issues. When I plug in a charger, Windows sees it but won't charge the old total depleted battery, instead, runs off ac power. Tried a different charger and a new battery with 30% charge but same results. As a last chance effort, I replaced the male prong power adapter in the computer. Now Windows doesn't see the charger and will not run on ac. Is there something in the Bios that needs to be done to fix this or am I to assume it's a motherboard issue and retire this little workhorse. Dead batteries cannot be charged. Remove the dead battery and try using just the original dell adapter that came with the laptop alone. You cannot use other models adapters or batteries. The battery not charging may be an issue with the adapter, battery, dc-port - where the adapter is plugged in or the motherboard itself. Where have you procured the adapter from? Is that an original Dell adapter for this system model? Is the adapter frayed? When you connect the adapter to the machine, does the adapter stay in firm or does it fall off easily? 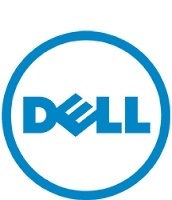 Update the BIOS - http://dell.to/1XySXNb - restart the system and check. Check the battery health status in Dell battery meter. Restart the system and press f2 key to enter BIOS - check the adapter status in BIOS with and without the adapter connected. Also, wiggle the adapter jack at the end when connected to the system and check if the adapter status changes at any point in BIOS. Restart the system and press f12 key on startup - choose diagnostics. Let it run the diags and if you encounter any errors - make a note of the complete error and report the same to us.